Hello, my name is Mike. I am a believer and follower of the Lord Jesus Christ Son of God. I have come out here today to tell you the good news, the Gospel of Jesus Christ. "For I am not ashamed of the gospel, for it is the power of God for salvation to everyone who believes, to the Jew first and also to the Greek. 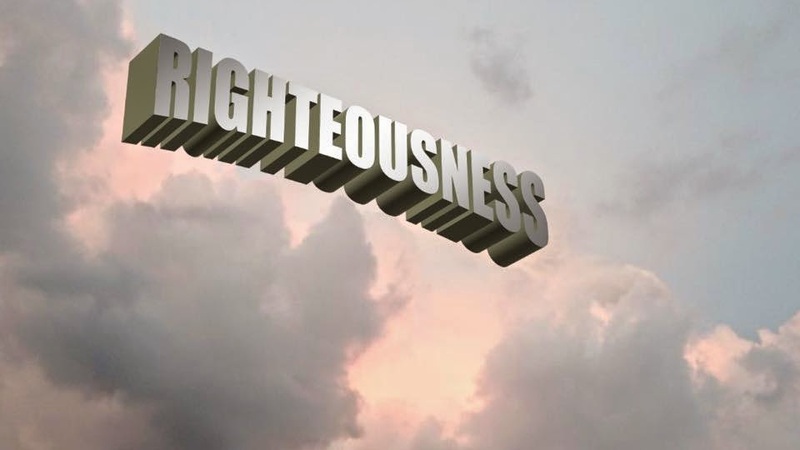 For in it the righteousness of God is revealed from faith to faith; as it is written, " But the righteous man shall live by faith." (Rom 1:16-17 [NASB]). Salvation from the wrath of God that we all deserve for our sin, is a gift by His grace through faith in His Son Jesus Christ the Lord. Romans chapter 3 says; "Now we know that whatever the Law says, it speaks to those who are under the Law, so that every mouth may be closed and all the world may become accountable to God; because by the works of the Law no flesh will be justified in His sight; for through the Law comes the knowledge of sin. But now apart from the Law the righteousness of God has been manifested, being witnessed by the Law and the Prophets, even the righteousness of God through faith in Jesus Christ for all those who believe; for there is no distinction; for all have sinned and fall short of the glory of God, being justified as a gift by His grace through the redemption which is in Christ Jesus; whom God displayed publicly as a propitiation in His blood through faith. This was to demonstrate His righteousness, because in the forbearance of God He passed over the sins previously committed; for the demonstration, I say, of His righteousness at the present time, so that He would be just and the justifier of the one who has faith in Jesus. Where then is boasting? It is excluded. By what kind of law? Of works? No, but by a law of faith. For we maintain that a man is justified by faith apart from works of the Law." (Rom 3:19-28 [NASB]). The scriptures declare "In the beginning God created the heavens and the earth." (Gn 1:1 [NASB]). "And the heavens declare His righteousness, For God Himself is judge." (Ps 50:6 [NASB]). You were created in the image of God (Gn 1:27 [NASB]. "Therefore you are to be perfect, as your heavenly Father is perfect." (Mt 5:32 [NASB]). But you have sinned and fallen short of the glory of God (Rom 3:23 [NASB]). How have you sinned and fallen short of the glory of God? "The one who does not love does not know God, for God is love." (1 Jn 4:8 [NASB]). "Love is patient, love is kind and is not jealous; love does not brag and is not arrogant, does not act unbecomingly; it does not seek its own, is not provoked, does not take into account a wrong suffered, does not rejoice in unrighteousness, but rejoices with the truth; bears all things, believes all things, hopes all things, endures all things." (1 Cor 13:4-7 [NASB]). You know that it is wrong to murder because all people were created in the image of God. You might ask how have I murdered? Murder occurs in the heart. Jesus said; "You have heard that the ancients were told, ' You shall not commit murder ' and 'Whoever commits murder shall be liable to the court. 'But I say to you that everyone who is angry with his brother shall be guilty before the court; and whoever says to his brother, ' You good- for- nothing,' shall be guilty before the supreme court; and whoever says, 'You fool,' shall be guilty enough to go into the fiery hell." (Mt 5:21-22 [NASB]). You know that it is wrong to commit adultery because God is faithful. Adultery, like murder also occurs in the heart. Jesus said, " You have heard that it was said, ' You shall not commit adultery '; but I say to you that everyone who looks at a woman with lust for her has already committed adultery with her in his heart." (Mt 5:27-28 [NASB]). Jesus said, "You have heard that it was said, ' You shall love your neighbor and hate your enemy. But I say to you, love your enemies and pray for those who persecute you, so that you may be sons of your Father who is in heaven; for He causes His sun to rise on the evil and the good, and sends rain on the righteous and the unrighteous. For if you love those who love you, what reward do you have? Do not even the tax collectors do the same? If you greet only your brothers, what more are you doing than others? Do not even the Gentiles do the same? Therefore you are to be perfect, as your heavenly Father is perfect. (Mt 5:43-48 [NASB]). Whether it be thought, word or deed "Love does no wrong to a neighbor; therefore love is the fulfillment of the law. You were created in the image of God (Gn 1:27 [NASB]). "Therefore you are to be perfect, as your heavenly Father is perfect." (Mt 5:32 [NASB]). But you have sinned and fallen short of the glory of God (Rom 3:23 [NASB]). In Exodus chapter 34 "Moses rose up early in the morning and went up to Mount Sinai, as the Lord had commanded him, and he took two stone tablets in his hand. Then the Lord descended in the cloud and stood there with him as he called upon the name of the Lord. Then the Lord passed by in front of him and proclaimed, "The LORD, the LORD God, compassionate and gracious, slow to anger, and abounding in lovingkindness and truth; who keeps lovingkindness for thousands, who forgives iniquity, transgression and sin; yet He will by no means leave the guilty unpunished, visiting the iniquity of fathers on the children and on the grandchildren to the third and fourth generations." (Ex 34:4-7 [NASB]). This brings about the greatest question in all of scripture. How can God forgive iniquity, transgression and sin; yet by no means leave the guilty unpunished? How is that even possible? The only answer is in the cross of Jesus Christ. "For God so loved the world, that He gave His only begotten Son, that whoever believes in Him shall not perish, but have eternal life." (Jn 3:16 [NASB]). God sent His only begotten Son Jesus Christ in human flesh; fully God and fully Man. He was a descendent of David according to the flesh, born of the virgin Mary. He was conceived of the Holy Spirit and for this reason He is called the Son of God. He lived a perfect righteous life glorifying God. All authority in heaven and on earth have been given to Him. He promised eternal life to His sheep. His sheep her His voice, and He calls His own sheep by name, and leads them out, and the sheep follow Him because they know His voice. He willing laid down His own life on the cross for His sheep, He died in our place for our sin. He was crucified dead and buried, and then on the third day He rose from the dead. He ascended into heaven and sat down at the right hand of God and is presently making intercession on behalf of everyone who comes to God through faith in Him. (Mt, Mk, Lk, & Jn [NASB]). Repent and believe in the name of the Son of God Jesus Christ; "for 'Whoever will call on the name of the Lord will be saved.'" (Rom 10:13 [NASB]). Come follow the Lord Jesus. He is the way, the truth, and the life; no one comes to the Father but through Him (Jn 14:6 [NASB]). "Enter through the narrow gate; for the gate is wide and the way is broad that leads to destruction, and there are many who enter through it. For the gate is small and the way is narrow that leads to life, and there are few who find it." (Mt 7:13-14 [NASB]). Jesus came in human flesh "to seek and to save that which was lost". He will return at a time of the Fathers choosing for judgment. "All the nations will be gathered before Him; and He will separate them from one another, as a shepherd separates the sheep from the goats; and He will put the sheep on His right, and the goats on the left." (Mt 25:32-33 [NASB]). The sheep blessed of the Father will inherit the kingdom prepared for them from the foundation of the world and the goats will be cast into eternal fire which has been prepared for the devil and his angels; "and they will be tormented day and night forever and ever." (Mt, Mk, Lk, & Rv [NASB]). If you believe that your religious works will save you on the day of judgment , Jesus has something to say to you about that. “Not everyone who says to Me, ‘Lord, Lord,’ will enter the kingdom of heaven, but he who does the will of My Father who is in heaven will enter. Many will say to Me on that day, ‘Lord, Lord, did we not prophesy in Your name, and in Your name cast out demons, and in Your name perform many miracles?’ And then I will declare to them, ‘I never knew you; depart from ME, you who practice lawlessness.’" (Mt 7:21-23 [NASB]). Salvation from the wrath of God that we all deserve for our sin, is a gift by His grace through faith in His Son Jesus Christ the Lord. "Therefore having overlooked the times of ignorance, God is now declaring to men that all people everywhere should repent, because He has fixed a day in which He will judge the world in righteousness through a Man whom He has appointed, having furnished proof to all men by raising Him from the dead." (Acts 17:30-31 [NASB]).